Everyone wants to make money. If you are interested in online business, then blogging is the best source for you. When we talk about blogging, there are mainly two choices come to our mind. One is Blogger’s blog (which is free) and another one is WordPress. WordPress is also free, but we need to buy a hosting package for it. If you are a beginner, then buying a hosting plan for your blog would not be a good decision. In a Blogger’s blog, you don’t have full control of your blog. But, in self-hosted WordPress blog, you have the full right to control your blog. 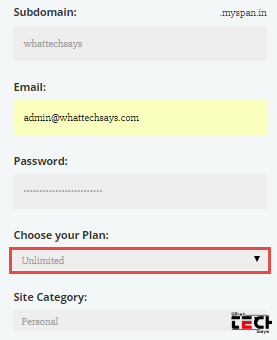 If you are new in blogging field and want to take a drive on a WordPress blog, then here is the tutorial for you, that how to create a WordPress website for free with unlimited hosting space. Before choosing WordPress platform for your blog, this will help you to know the functionalities of WP. 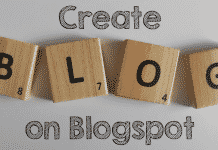 Follow the below procedure to create your own blog or free within few minutes. 2) In the Registration form, fill all your details and choose your plan as “Unlimited”. It’ll give you unlimited free space and bandwidth. 3) After filling all fields, click on the REGISTER button. 4) Now go to your mail inbox and verify your registration. 5) After verification, you’ll get your cPanel details. 6) Login here with your details. 1) In cPanel, click on the Softaculous image under the Announcements tab in your panel or you can go through “Software/Services” section. 2) Install WordPress from the top of the script. 3) Make sure to leave “In Directory” as empty, if you want to install in the root directory. 4) Next, put your admin username, password, and email id. 5) Enable “Limit Login Attempts” plugin to protect your site from unauthorized access attempts. 6) In “Advanced Options“, enable every option by ticking on them. 7) Select your desired theme and click on Install button. 8) After successful installation, you’ll get your WordPress website URL. 9) Go to your WordPress dashboard by going “yourblog.myspan.in/wp-admin” and log in there with your username and password. 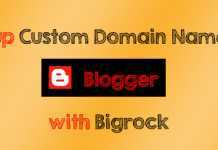 If you already have a domain name and you want to host you WordPress blog with that domain, then click on “Addon Domains” from “Domains” section. Now put your that name and click on “Add domain” button. After that change your domain name servers to ns1.myspan.in and ns2.myspan.in. If you want to create a free website with a free domain, then go to the cu.cc registration page and grab a free domain for your WordPress hosting. This web hosting is not for professional bloggers. If you want to learn WordPress or you are a beginner then you can take a drive on it with free unlimited hosting. For Indian users, here is the complete guide on, website kaise banaye in Hindi language. This is only the hosting, then what is the relation with Adsense? adsense site not supported by this hosting service.. There is no relation is between Hosting and Adsense. It depends on your articles and domain. 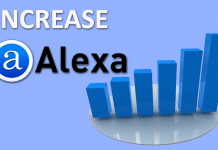 NO MAN.. if the adsense ads are there on site which is hosted, then this hosting site will suspend that account, and you will no longer to post any data…. I already mentioned it bro, it is not for serious bloggers. If anyone is interested on WordPress and want migrate from Blogger's Blog, then he or she can take a drive on it. Only to study about WordPress; how it works. Thanks for your valuable info bro.